Tags: Casual, Daily Wear, Gray, Shalwar, Shirt. Top: Simple Grey embroidered cotton shirt with stand collar. Embellish embroidery of thread and sequence made on collar and front. Shalwar/Trousers: plain Grey cotton shalwar. 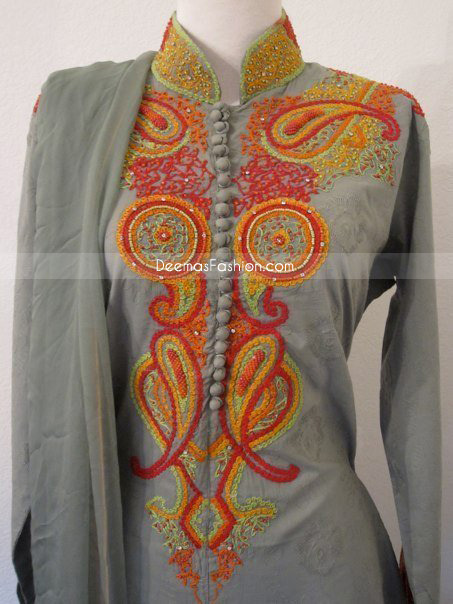 Dupatta: Plain Grey chiffon dupata finishing with piping.